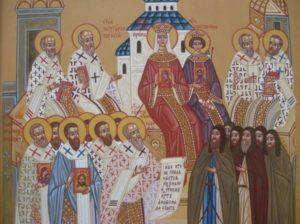 On the Sunday that falls on or immediately after the eleventh of this month, we chant the Service to the 350 holy Fathers of the Seventh Ecumenical Council, which gathered in Nicaea in 787 under the holy Patriarch Tarasius and during the reign of the Empress Irene and her son, Constantine Porphyrogenitus, to refute the Iconoclast heresy, which had received imperial support beginning with the Edict issued in 726 by Emperor Leo the Isaurian. Many of the holy Fathers who condemned Iconoclasm at this holy Council later died as Confessors and Martyrs for the holy Icons during the second assault of Iconoclasm in the ninth century, especially during the reigns of Leo the Armenian and Theophilus. Let the Heavens rejoice; let earthly things be glad; for the Lord hath wrought might with His arm, He hath trampled upon death by death. The first-born of the dead hath He become. From the belly of Hades hath He delivered us, and hath granted great mercy to the world. Most glorified art Thou, O Christ our God, Who hast established our Fathers as luminous stars upon the earth, and through them didst guide us all to the true Faith. O Most Merciful One, glory be to Thee. Greatness has been found in danger. You are champion of the world. A victor who could turn the nations back. You boldly encouraged Nestor to defeat Lyaeus in the arena. Therefore, holy great martyr Demetrios, intercede with Christ our God, to grant us His great mercy. O Protection of Christians that cannot be put to shame, mediation unto the creator most constant: O despise not the voices of those who have sinned; but be quick, O good one, to come unto our aid, who in faith cry unto thee: Hasten to intercession and speed thou to make supplication, O thou who dost ever protect, O Theotokos, them that honor thee. Titus, my son, the saying is sure. I desire you to insist on these things, so that those who have believed in God may be careful to apply themselves to good deeds; these are excellent and profitable to men. But avoid stupid controversies, genealogies, dissensions, and quarrels over the law, for they are unprofitable and futile. As for a man who is factious, after admonishing him once or twice, have nothing more to do with him, knowing that such a person is perverted and sinful; he is self-condemned. When I send Artemas or Tychicos to you, do your best to come to me at Nicopolis, for I have decided to spend the winter there. Do your best to speed Zenas the lawyer and Apollos on their way; see that they lack nothing. And let our people learn to apply themselves to good deeds, so as to help cases of urgent need, and not to be unfruitful. All who are with me send greeting to you. Greet those who love us in the faith. Grace be with you all. Amen. Parents, Siblings, Relatives and Friends of the Bakas, Hitsos, Legakis, Lembessis, Papas, Papastamatis, Pilavakis, and Vlamis families. Fontaine Alexander (40 days) survived by her son Richard. October 26th is an important day for our parish community. It is the Feastday of Saint Demetrios. However, just three days before that (October 23rd), is the Feastday of Saint Iakovos (James), “the brother of our Lord”. So exactly how was this relationship possible? Well, some say he was Joseph’s son by a previous marriage. Then there are those who say he was a nephew of Joseph, and the son of his brother Cleopas, who was called Alphaeus and Mary his wife, who was a first cousin to the Theotokos. But he was stilled called the Lord’s brother because of their kinship (familial relationship). Some of the Evangelists called him the Less to distinguish him from Iakovos (James the Great), the son of Zebedee and brother of John (not the Baptist). He was the first Bishop of Jerusalem. He was also called, according to Eusebius the historian, Obliah, which means the Just because of his holiness and righteousness. This righteous conviction is what led him to martyrdom when he ascended the crest of the Temple on the Passover and gave witness to his belief in Jesus as God’s son. There we some in the crowd who were very excited and enthused by his pronouncements. But the Scribes and Pharisees announced that even this “just one” was led astray. Then, at the command of Ananias, the high priest, the Apostle was thrown down the hill headfirst and then stoned. While he prayed for those who were beating him, his head was crushed by a wooden club carried by a scribe. He is the author of the first of the General Epistles written to the Jews in the Diaspora who believed in Christ. He was the first shepherd Christian teacher of Jerusalem and a faithful steward of the spiritual mysteries. AND he was a wondrous example of faith through his martyrdom. FOR NEXT WEEK: The Sacraments of our Church…how many and are they all mandatory….compulsory? 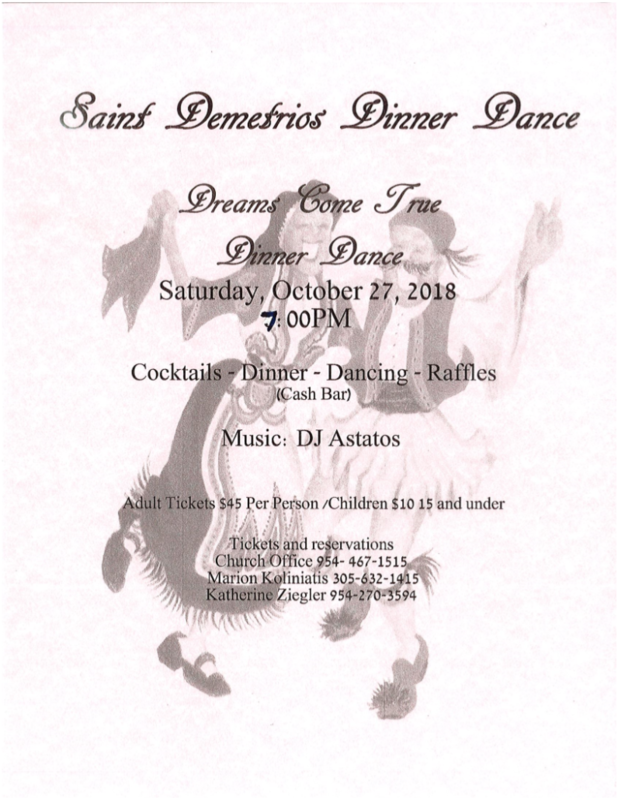 Dance There will be a mandatory meeting for the parents of all St. Demetrios dancers immediately following the Divine Liturgy today, October 14th, in the church. Please make every effort to attend, as the EYCC and Dance Advisory Council will be addressing several topics pertaining to our dance program. Thank you to Dr. Hionis for his donation of the 2006 Cadillac DTS and to George Stratoudakis for performing $1200 in free repairs, for keeping the car on his property, for giving multiple test drives and for selling it! 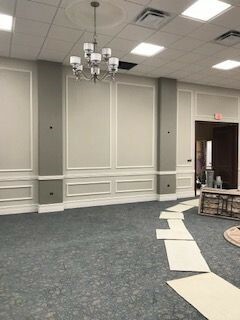 Thank you to John “The Greek” Painting for painting, at no cost, the wall going around the church. DOP Food Drive The Daughters of Penelope Food Drive begins today. Please pick up a paper bag, fill it with non-perishable food items and return it to the church. Let’s help those less fortunate. Cancer Chapter Garage Sale November 9th & 10 It’s time for our Garage Sale fundraiser on Friday, November 9th and Saturday, November 10th, 2018. The event will be held in the main hall between 9AM-3PM on both days. All proceeds support cancer research at the Sylvester Comprehensive Cancer Center at the University of Miami Miller School of Medicine. We are accepting donations of gently used household items, interesting collectibles, vintage items and artifacts. Used clothing will not be sold. If you are interested in donating articles to the sale please see any member of the Cancer Chapter after church during the coffee hour. Items will be accepted on/or after November 4th. Coordinate drop off times and locations with a Cancer Chapter member, or contact Stephanie Pavlakis at 954-590-8763. We ask all bakers to put on their chefs hats and whip up their special dessert to bring to the church for the St Demetrios Vesper Reception on October 25. Delivery acceptance will be Wednesday, October 24 between 3:00 – 5:00 pm or Thursday October 25 between 5:00 And 6:00 pm. We expect around 200 people. 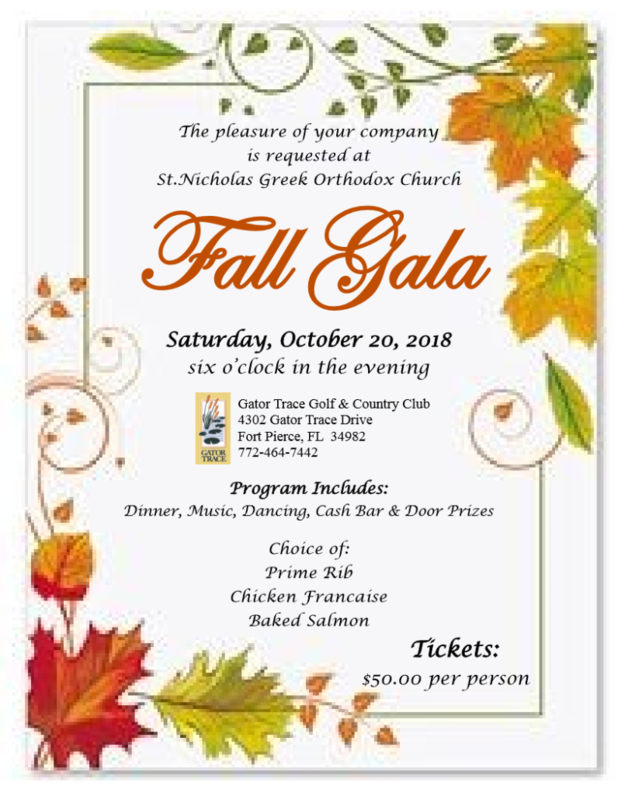 Saturday, October 27: Feast Day Dinner Dance Dreams Come True at 7:00pm in the newly renovated hall. Tickets $45 per adult; $10 per child. Available for purchase every Sunday or by calling Marion Koliniatis @ (305) 632-1415. 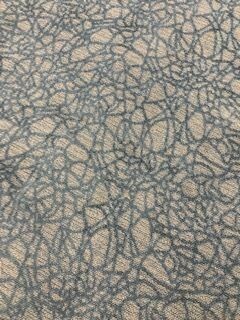 Large Hall Renovation · The carpet has been installed. Theosis - What is Prayer?